Tonight’s Tea is Campfire Stew! I recently joined a slow cooker group on Facebook to pick up some new recipes and tips on slow cooking. People were raving about a gammon dish called “campfire stew” and how delicious it was. I looked it up only to find it was made with baked beans! There is nothing wrong with baked beans, they are just not for me. As a family we very rarely eat processed food and prefer to eat “clean”. Clean eating (just in case you weren’t aware) is consuming food in it’s most natural state and avoiding certain things like flour, sugar, bread and pasta plus processed food. I was extremely disappointed as the reviews on this dish were phenomenal. So, I decided to make my own “campfire stew”. 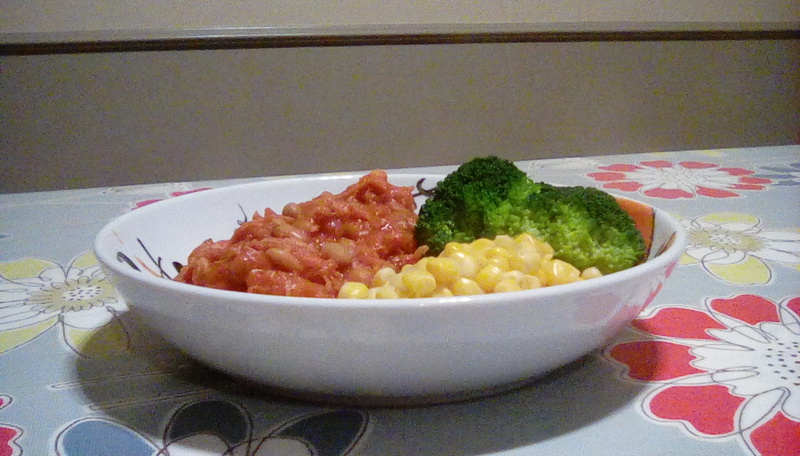 I replaced the baked beans with haricot beans, the beans used to make baked beans and added passata and a selection of seasonings. This is the result and I must say it is delicious. If you don’t like gammon you could use sausages. You could also add a variety of different vegetables or spices to the dish. Also, if you want to be frugal or are feeling the pinch this January keep the amount of meat the same but double the amount of beans and vegetables, add more passata or water and the stew will feed upto 12 people. PS. If you could recommend a slow cooker cookery book or post one of your favourite slow cooker recipes I would gratefully appreciate it. IT looks and indeed was, very tasty indeed! Pleased to hear you enjoyed it. The stew is a great cheap and easy winter warmer.